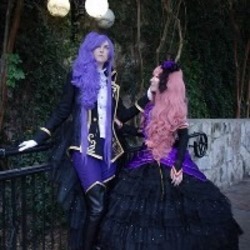 Umbra Cosplay is a cosplay couple from the Southeastern United States who has been cosplaying for years. Bunny is newer to cosplay but a pro in the Japanese fashion scene. She works closely with Collin doing some basic sewing as well as intricate jewelry and beading work to create works of art together.